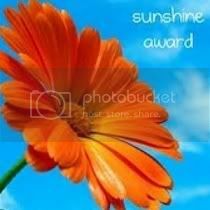 ← Thank You For The Sunshine Award! Love Is Pouring From Around The World. I’ve missed you too. Why have I been away? My reasons, activities and learning, from A to Z. A: A lot has happened. B: Bad, better, best and brilliant things have knocked at the door. I’ve cherished them all. We all learn each day, explore new dimensions every now and then. To me, there is no end to knowledge and learning. Personally, professionally, emotionally, physically and psychologically too, there’s so much to occupy and absorb. Every second is a chance to experience the inexperienced and initiate the adjourned. Never let the chance go, sorrow too, in my belief, sends a huge sensation to the body, let it attack if it has to, just hold yourself together and you will see how the body in turn reflects the negativity out of your system. That’s my method of dealing with madness. It eventually makes me stronger and bolder. C: Chasing or checking on life and living, both, are not my cups of tea. D: Decided, declared and doffed without dreading. E: Ever heard ear-splitting music sitting on an easy-chair? No, I won’t call you an eccentric, but I definitely am. F: Functioning fantastically with so much fun around. G: Good things come in small packages and great things, when you have genuineness of body, heart, mind and soul. H: Heard hypocritical hymn. Yeah, don’t hush me up! I: Ignited ideas! An extremely crucial section is on its way on the blog. I’m busy making notes and a lot of other stuff, that’s one reason I couldn’t write anything for the last couple weeks. It shouldn’t have taken this long, but then I always respect commitment, personal or professional, mine or someone else’s. Some more patience. YOU, will definitely be a part of it, cross my heart. Wish me luck. J: Jack in the box! Yep, few surprises. Keep reading. K: Kerala trip (my second) got postponed. We were to go with the family this time, may be in the next vacation. L: Love, laziness, lake-shore, lilies, lap, lasagna, lava cake, la la la la la la la! M: Magazine on my table, Vogue. Reason is Gauri Khan on the cover. There is so much I want to write about her, sit with her, just talk to her. This may sound exorbitantly inane, but I relate to her on many levels. Give me about 15 years to prove this. She is special. Love her. N: Neha not naive! Enough said. O: Ocean waves oscillating, Indian ocean‘s pictures coming soon! P: Popeye popped up on YouTube, thanks to the daughter, she has the ability to hijack my laptop. One of my old time favorites. I was called Olive by one of my dear friends some years back. Me, nowhere close to Olive, but I undoubtedly have a mimicker inside me. Ao Popeye! Q: Questions, both important and unimportant, answered! R: Racing to be a regular. I’ve been busy and occupied lately. I miss this space as much as everyone else who eagerly awaits my blog. One of my dearest friends from UAE, she threatened me in a way for not writing in at a set pace. Boost to me and love to her. S: Sister got engaged. Yes, yes, yes, is why I’ve been distracted. I’ve stopped walking, I hop now, a lot, which might transform into high and long jumps soon, as the wedding is in two months, it’s awfully sooner than expected. I would like a generous portion of oxygen, please! T: Tuning to the tantrums of time. Ticktock, ticktock, don’t mock, don’t mock! I have started freelancing. It’s my first assignment, no, I’m not a writer, but it’s more of a corporate + service industry + good money kind of deal. The first few weeks were tough but I’m turning better. U: U-turn at times is the toughest skill to acquire as a driver. I guess in life too. Once you’ve taken a step and your heart told you that’s the right thing to do, then at least for me, there’s no u-turn. There are certain ultra-mundane things I believe in. The best part is, people who really get me, have never asked for an explanation, so! V: Viagra, really? Yes, I get tons of spam emails trying to sell me some. Do you get such funny, erotica stuff in your mail box? What was your reaction the first time? And now? Let’s discuss it one day, mail me. I do have a security system, just so you know. W: ‘WP 5K’, does it ring a bell? Yep, the 5K marathon I was excited to run on the 29th April, well, I had to travel to Delhi to attend the unexpected engagement ceremony of my sister, so I gave it a miss. I’ve decided that I’ll still do it on one of coming Sundays. The adrenaline rush refuses to settle down, something good is about to follow, let’s do it. X: X-mas picture! Found a couple of old Christmas pictures of my nephew (now 10) in my old album bag at my mum’s. His smile brought a spark in my eyes and pressed F5 to refresh my memories. I wrote a little note at the back of the picture, wrapped it and gave it to my aunt for him. I’m sure he’ll call back. Y: ‘Y r u nt tkg ma kal?’ Something stops me to reply to such text messages. I’ve always maintained a distance from such abbreviations (so-called). They annoy my core. Spend 2 more seconds and write something which is pleasant to eyes if not mind. This one scores high on my pet peeve list and I have a long one. You? Z: Zzzz..zzzz…zzzz. Nighty-night! Time to make up for all the sleepless nights lately. I have a feeling that you shared at least one thing from this list with me. Some incident, some learning, something, is it? Let me know. Love to all of you! I’ll be back sooner this time. This entry was posted in Uncategorized and tagged Daughter, Delhi, Friends, Fun, Gauri Khan, Kerala, Life, Popeye, Service Industry, Sister, Sundays, Vogue, WWWP5K, YouTube. Bookmark the permalink. 6 Responses to 26! Not Less, Not More. Splendid!! One more feather in your cap!! Thoroughly enjoyed and related to lots of alphabets!!! OMG. You are almost immaculate in getting away with this. How do you do this? Annoying and adorable all at once? 🙂 Hahaha. Just kidding! Thank you so much, Vanika. Glad you like my definition of alphabets. It’ll change, with time, as we progress. As for the wedding, I’m counting days, hoping it’ll go well. Fingers crossed. So glad you’re back. It’s been lonely around here. By the way, I hate (probably because I’m so bad at) texting. I never understand anything people send and have to call them for an explanation! It sort of was lonely. Great to see you back though. As for the texting, it’s an alarming situation here in Mumbai. I’ve learnt from a group of older moms that the kids in academics, use the same language. They were shocked to read an examination sheet filled by a student, who used the ‘text lingo’ in his answers. And we think of teaching them literature one day, sigh!